“Six foot, seven foot, eight foot bunch!” Lovely, creamy Cavendish bananas with two-thirds of this bunch already harvested. NOTE: I’m not sure why this is called Hummingbird Cake as it definitely does not contain hummingbirds! Whenever I make a cake for our Garden Club I always try to make it with something from the garden – a challenge sometimes. Today was our first meeting of the year and we had an excursion to the Mullumbimby Community Garden. 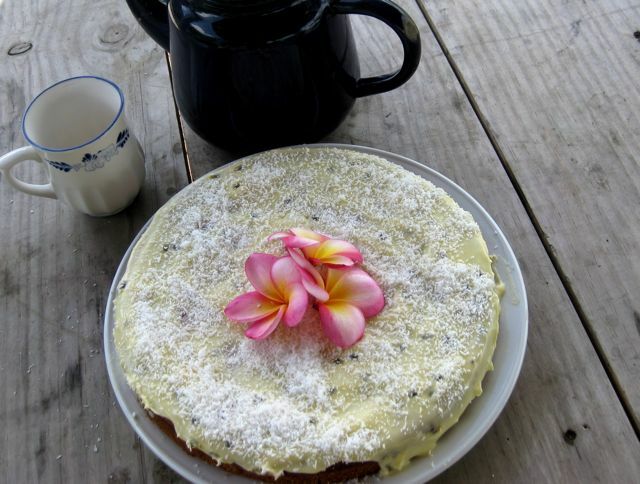 Luckily I had some lovely ripe bananas, pineapple and passionfruit to make this tried and true Hummingbird Cake – a very easy recipe with very little preparation time – about 15 minutes. Of course, everything you need to make this cake can also be bought from a shop. 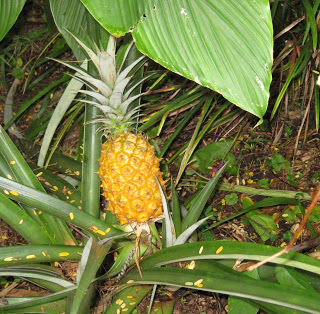 NOTE: Pineapple is in the bromeliad family and make a wonderful border in the tropical garden. They require very little care and attention and fruit after a couple of years or so. 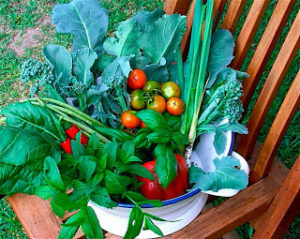 To grow them you simply plant the green top off the fruit – it’s that easy! Preheat oven to moderate…. (I use 170C F/F gas oven). Grease a deep, 19cm square (or round) cake tin and line base with baking paper. Sift flour, soda and spices into a large bowl and stir in sugar and coconut. Combine lightly beaten eggs and vegetable oil and add to dry ingredients. Then add mashed banana and drained pineapple. When well combined, spread mixture into cake tin and bake in moderate oven for about 1 hour. Let cake stand for a few minutes before turning out onto rack to cool. When cold, top with the yummy passionfruit frosting and dust with desiccated coconut. 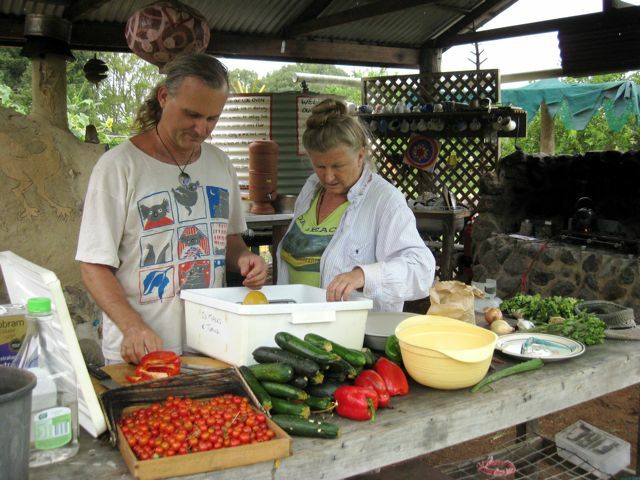 Volunteers day at the Mullumbimby Community Gardens – making lunch from some of their bountiful produce. 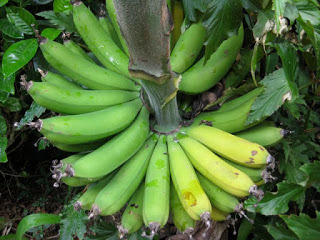 TOP TIPS FOR GROWING BANANAS – Click here for everything you need to know about growing and caring for banana plants.